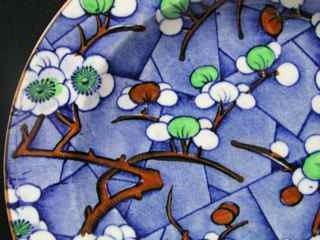 Frederick Rhead's take on this classic Chinese design is one of the most striking out there, instantly recognizable with its contrasting transferprint and deep blue colouration. 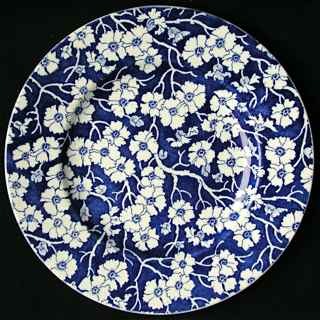 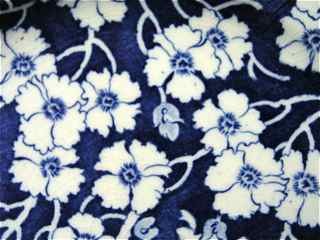 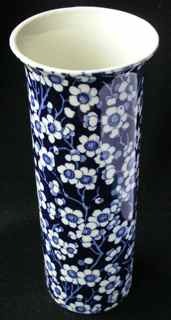 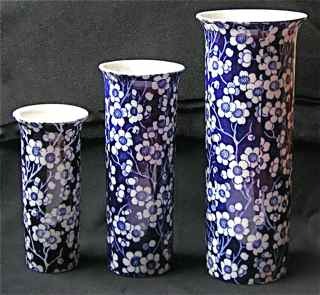 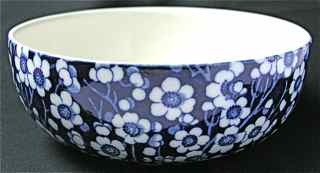 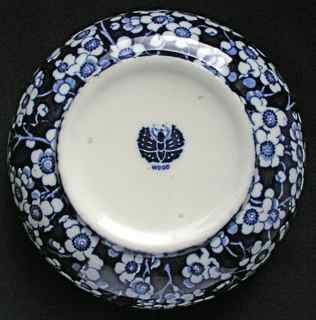 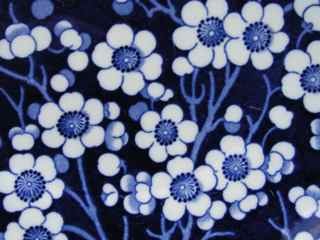 Like most Prunus designs, it is an all-over (chintz-like) pattern, featuring white flower heads against a dark blue background of stems. 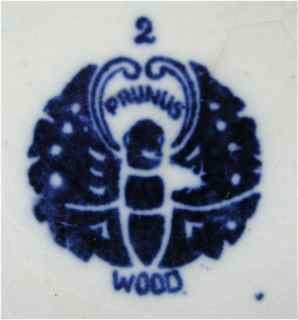 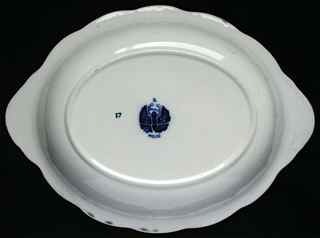 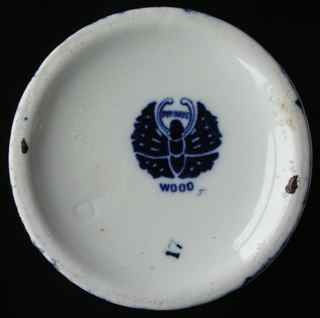 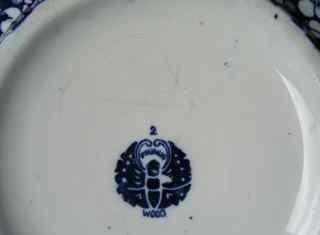 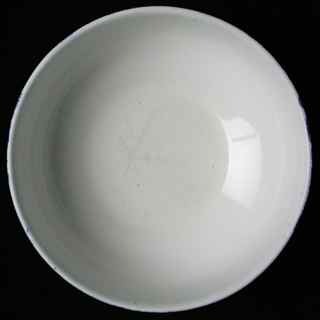 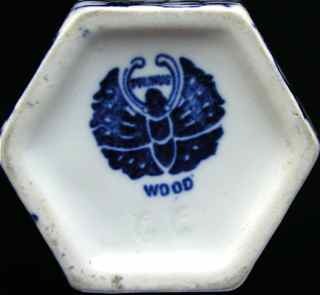 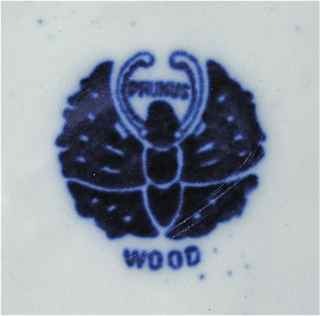 Woods items are marked with a moth logo, with the word PRUNUS inscribed between its horns - a typical Rhead backstamp. 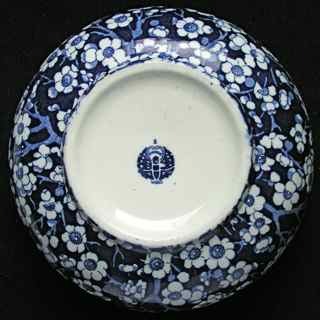 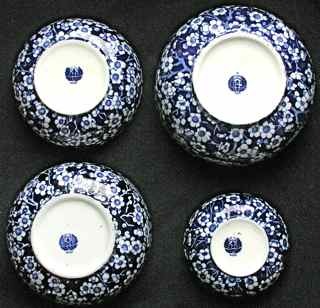 This is a very attractive range to collect, owing to the large number of shapes that crop up - mostly vases, bowls, jardinieres and dressing table items, rather than tableware as such. 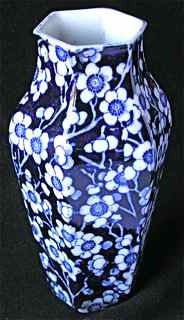 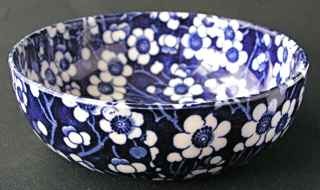 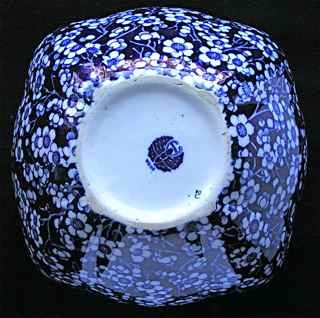 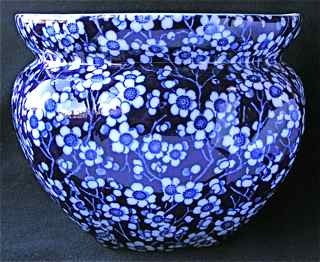 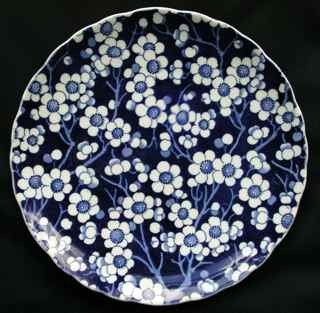 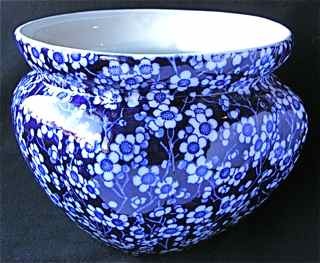 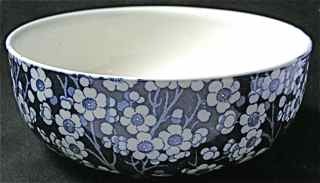 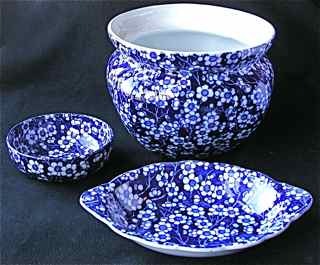 Rarely, one encounters the Prunus pattern in different colours, (eg: mulberry), including some hand-coloured versions. 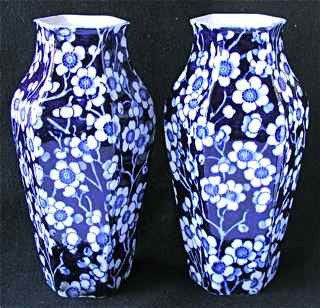 An important variation on the pattern is Rhead's beautiful Cherry Blossom design (right), in which the flowers are hand-coloured green with brown stalks, over a lighter blue shaded background. 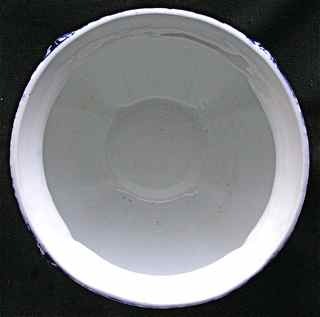 This is the only example we have seen. 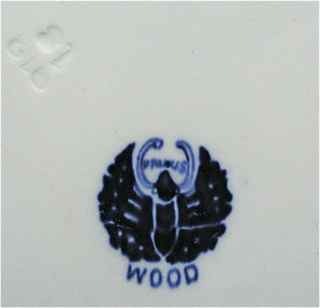 There is no backstamp, but Woods provenance is inferred from the impressed mark W930, dating it to 1930. 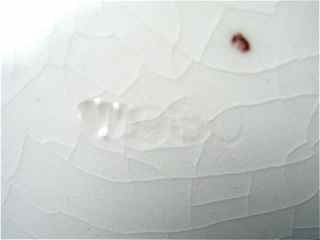 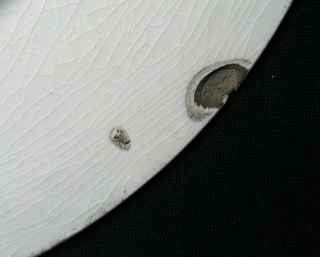 Star craze visible in centre, (see below) but doesn't leak!